Breakfast can be a hectic time in our house. With three young children to get ready and out of the door I can find myself running around all over the house! 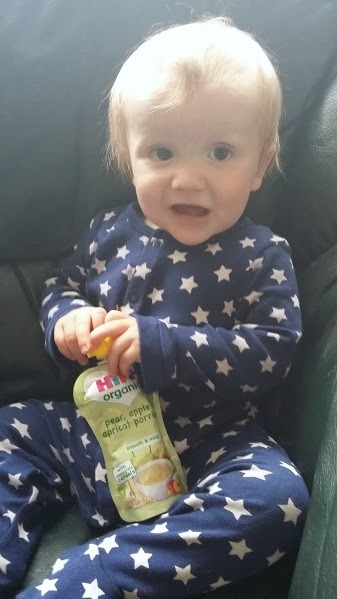 Little E loves a good breakfast and porridge has been a favourite of his since weaning started. Obviously it can take a little time to make up a bowl of porridge, this means that sometimes Little E has to wait for his breakfast until after the school run, and it can make porridge for breakfast a difficult option if you're away from home. 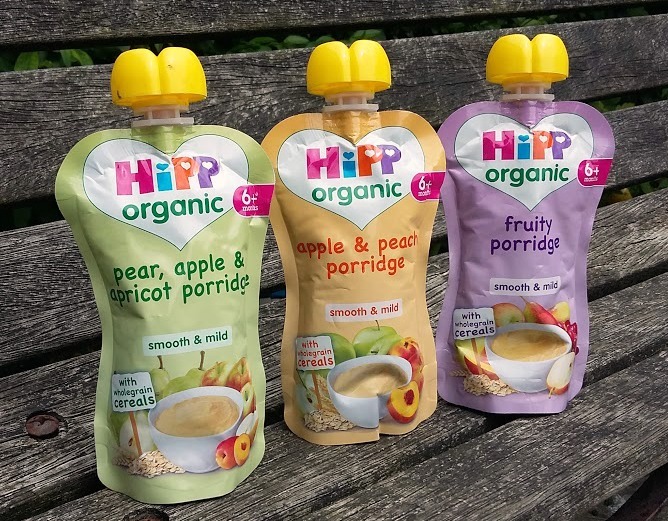 HiPP Organic have launched a brand new range of organic pouches which mean that porridge can be a convenient and quick option in future. Perfect for Little E! The new range includes three different flavours of fruity, organic porridge, suitable for children aged 6 months and over. They are presented in a convenient pouch,, which makes them just as perfect for travel as for serving at home. The three flavours are Fruity, Apple & Pears and Pear, Apple & Apricot. Little E has loved every flavour and polished them off in no time. We recently discovered that he can eat a pouch by squeezing it into his own mouth, nothing stands between my little boy and food! Generally I feed it to him by squeezing it into a bowl and then using a spoon though! 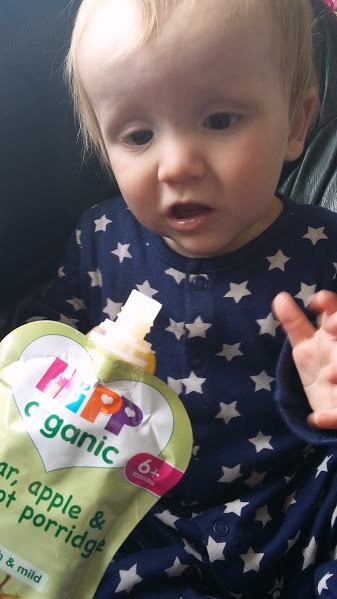 HiPP select special varieties of fruits and vegetables which are naturally low in acidity whilst high in nutrients. Then to ensure their optimum flavour they are given time to ripen naturally and harvested when at their plumpest and sweetest. This means that the fruit contained in the porridge is really tasty and perfect for a healthy breakfast. Our pouches arrived just before we went on holiday and we took them with us. They were the perfect breakfast on our early morning ferry crossing and meant that I knew Little E would be happy and I didn't have to worry about trying unfamiliar food with a tired baby! We've bought the pouches since and I will definitely be keeping a good stock of them at home for when he needs a speedy breakfast in future. 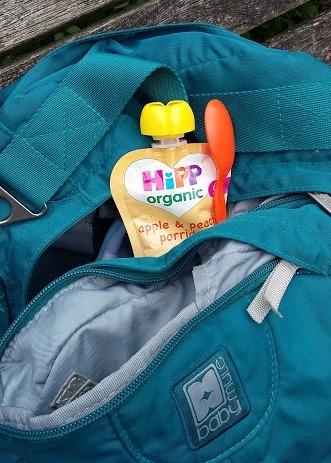 HiPP Organic porridge pouches are available in Tesco and Waitrose stores now. The porridge pouches were supplied for review purposes.